Here are some simple strategies you can implement at home and when you’re out that will make a big difference to your overall health and wellbeing. Some of these hacks help you cut down on sugar, others trim back the fat. And others still inject a little more activity into your everyday life. Whether you make all these changes or just a few, you’re off to a great start in 2019. Cook at home instead of eating out. This way, you know exactly what you’re eating. While you’re at it, throw an extra handful of colourful veggies into the meals you prepare. Eat fresh fruit instead of drinking juice. When was the last time you checked the label on a fruit juice? No matter how hip the packaging, it’s not likely to be better for you than a piece of fresh fruit. Pan-fry food instead of deep-frying it. Got a favourite recipe that calls for half a litre of oil for frying? Ditch that oil and try pan-frying or oven-baking instead. Great for your heart and your wallet. Buy local produce where possible. Find your closest farmers’ market and weave a visit into your weekly routine. You get the pleasure of meeting local growers and the benefits of eating the freshest fruits and vegetables of the season. Whip up your own salad dressings. Jump online for some inspiration. There are endless delicious combinations that you can whip up with some simple, good-for-you ingredients like olive oil and balsamic vinegar. Choose spinach instead of lettuce. When it comes to leafy greens, the darker the leaves the better. English spinach makes a tasty salad base. Use Greek yoghurt instead of sour cream. Greek yoghurt packs a delicious flavour punch and is so much better for you than its cream-based cousin. Sprinkle cinnamon instead of sugar. If cutting back on sugar is one of your goals this year, then cinnamon could become your new BFF. Delicious on porridge and cereals, it’s a real guilt-free treat. Dip into salsa instead of creamy concoctions. Even better, find some simple recipes to make your own fresh salsas using in-season produce. Freeze fruit instead of icy-poles. 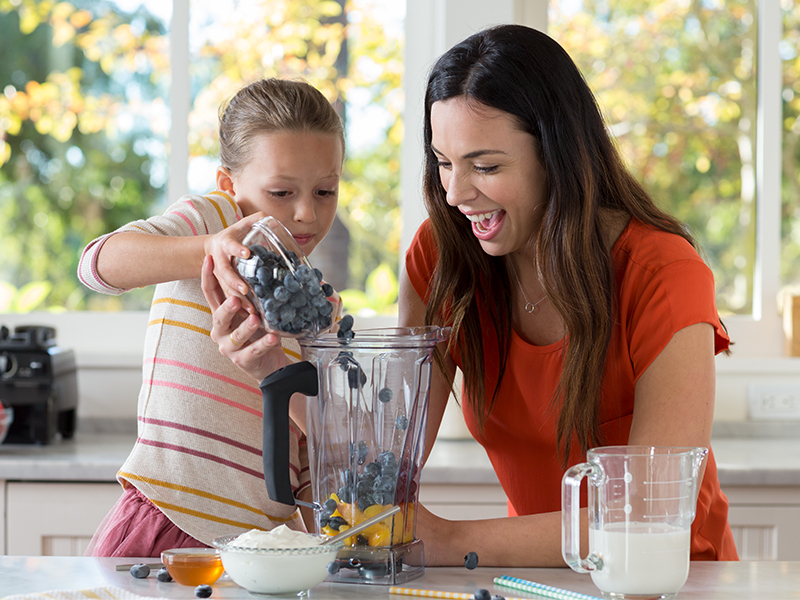 Grapes and strawberries are super-refreshing when frozen, and other frozen fruits like berries and bananas are a delicious addition to smoothies. Choose sparkling water instead of soft drink. Add a squeeze of fresh lemon or lime and you’ll have a refreshing beverage without the guilt. Top pancakes with fresh berries instead of sugary syrups. Fill bowls with fresh berries and yoghurt next time you make pancakes, and enjoy a fresh start to the day. Snack on popcorn instead of chips. Salty chips can become quite addictive. If you’re looking for an on-the-go snack, try some popcorn instead. Choose brown rice over white. Sure, it takes a little longer to cook. But it’s got all the nutrients in it, compared to the pared-back white variety. Bike to work instead of driving. Or get off the train/tram/bus a stop earlier and walk the rest of the way. Inserting more incidental exercise into your daily life is a win-win for your physical and mental health.